These are N Scale Code 80 Plastic Rail Joiners by Atlas. CAR TRUCK KIT. Within 24 Hours. Scale: N 1:160. Small plastic connectors used to join two sections of. Transparent white plastic construction. UPC Code:0732573025387. 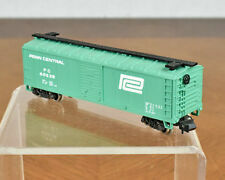 Used Atlas #2323 N Scale Gulf Central Florida Tank Cars center Flow Tank Car with Original Plastic Jewel case. This features a really cool old vintage version of the "Gulf" script. Free Shipping! 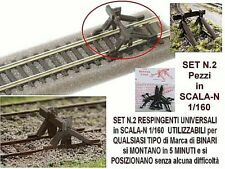 N Scale Code 80 Plastic Insulatedl Rail Joiners (24 pcs). I am an authorized dealer. Plastic Rail Joiners 2 doz. 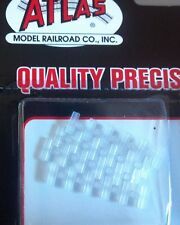 Here is an Atlas 2538 N-Scale Plastic Joiners. Each unit includes 2 dozen joiners. Manufacturer: Atlas. Model Number: 2538. MSRP: 2.50. Scale/Era: N Scale. Model Type: Track/Switches/Etc.. Availability: Ships within 3 Business Days!. 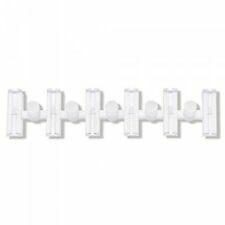 Atlas N Scale Code 80 Plastic Insulating Rail Joiners. ATLAS #2538. The Train Connection, Waterbury, Connecticut, USA. Made in Italy. Includes original plastic box. Pre-owned condition. Lord Bless You. Eltopia, WA 99330. P.O. Box 309. Good condition and well taken care of. I will get back to you within 24-48 hours. Plastic Rail Joiners 24 pcs/blister. Item # 2538. N Scale, MIB. All warranty claims are handled by the manufacturer . 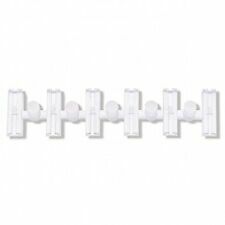 These are N Scale, Code 80 Plastic Insulating Rail Joiners from Atlas. These are the plastic, insulating type. Twenty Four (24) Rail Joiners. Train Sets - By Scale. Buildings & Scenery - By Scale. Parts & Couplers - By Scale. 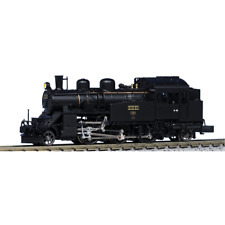 ATLAS 2538 N Scale N S Code 80. Plastic Insulated Rail Joiner. If the picture doesn't match the title, then go with the title. Following conditions apply If we make a mistake by sending you the wrong item or you get a defective product we will make it right at no cost to you. 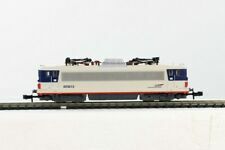 Hopper, Covered, ACF, Center Flow, 4 Bay, 55', Chemplex Plastics (N-Scale). Car Type: Hopper, Covered, ACF Center Flow. It is an ACF Center Flow. Model Power #3470. Manufacturer: Model Power. Car Number: 73.